We're not usually ones for jamming our thumbs into our own eyes. 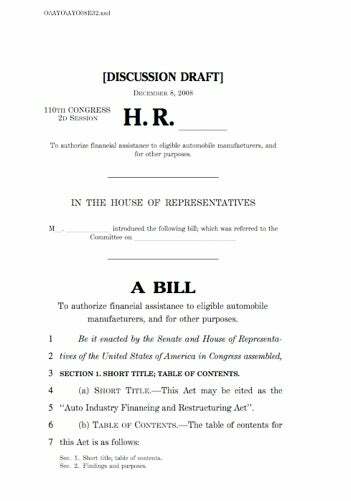 Be that as it may, we're going to start sifting through the full discussion text of the automaker not-a-bailout bill entitled: "To authorize financial assistance to eligible automobile manufacturers, and for other purposes." Sounds thrilling, doesn't it? Read along with us here.